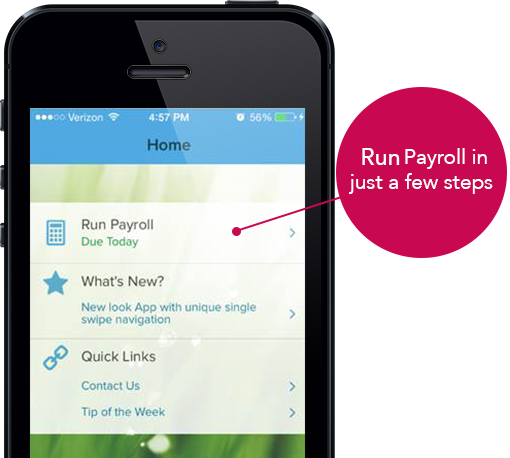 *In order to receive two free months with RUN Powered by ADP®, company must complete and sign an ADP sales order by June 23, 2019 (must be submitted by this date), start processing payroll by June 30, 2019 and continue processing for three consecutive months at the originally implemented bundle, payroll frequency, and discounting level. Eligible companies must have 1-99 employees, unless otherwise stated and use Direct Debit of Fees. Two months free payroll will be applied to client's invoice for clients in good standing after the first three months of processing. This offer cannot be combined with any other promotions and only available to new ADP Clients using RUN Powered by ADP in the Continental U.S. This promotion applies to all features of standard payroll processing invoiced on your regular processing cycle and does not include additional non-payroll services; excludes pass through costs, courier and other delivery fees, including off cycle fees, hardware, or penalty and interest fees. This offer shall not apply for sales orders signed after June 23, 2019 and may not be combined with any other offers. If failure to begin processing by June 30, 2019 is due exclusively to Client delay in implementation of the payroll processing services, then ADP reserves the right to terminate this promotion. Other exclusions may apply. Quote based on information provided by you and may vary if frequency, employee size, services or other features change. ADP, ADP Workforce Now, and the ADP logo are registered trademarks of ADP, LLC. RUN Powered by ADP is a registered service mark of ADP, LLC. ADP A more human resource. is a service mark of ADP, LLC. © Copyright 2018 ADP, LLC ALL RIGHTS RESERVED.